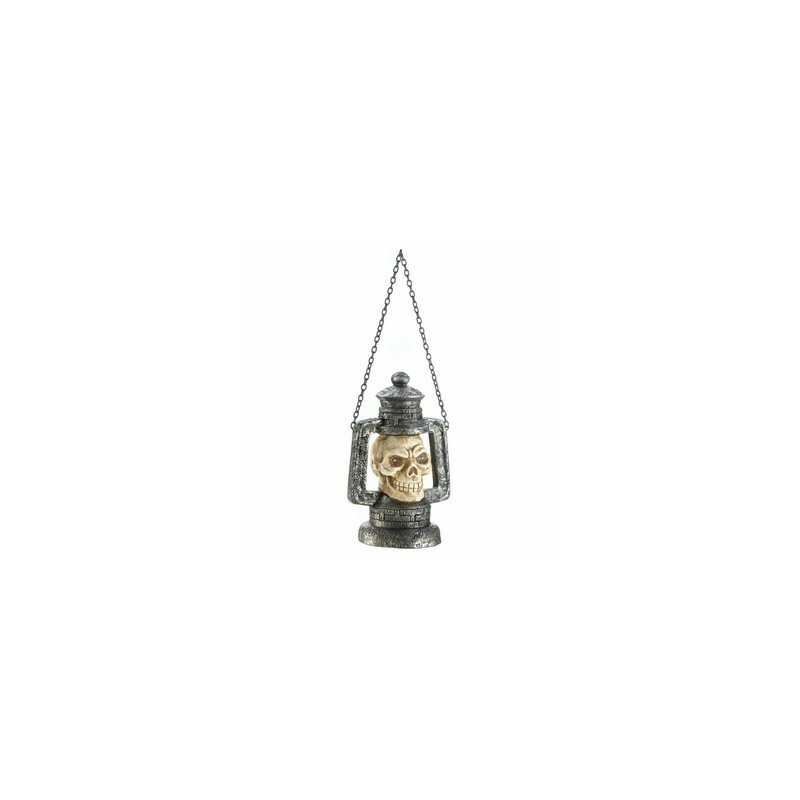 Light up the night in spooky fashion with this ghoulish lantern. 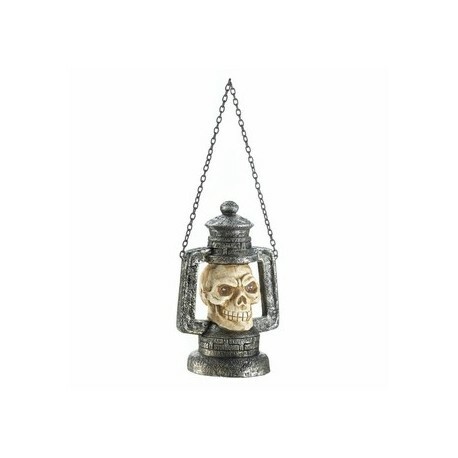 The classic lantern design features a creepy skull with glowing eyes that are fueled by a LED light. On/off switch on bottom. 5" x 4" x 8.25". Polyresin, LED Light.